January 3 is the third day of the year in the Gregorian calendar.There are 362 days remaining until the end of the year(363 in leap years). Perihelion, the point during the year when the Earth is closest to the Sun, occurs around this date. The term apsis refers to an extreme point in the orbit of an object. It denotes either the points on the orbit, or the respective distance of the bodies. The word comes via Latin from Greek, there denoting a whole orbit, and is cognate with apse. Except for the theoretical possibility of one common circular orbit for two bodies of equal mass at diametral positions, there are two apsides for any elliptic orbit, named with the prefixes peri- and ap-/apo-, added in reference to the body being orbited. All periodic orbits are, according to Newton's Laws of motion, ellipses: either the two individual ellipses of both bodies, with the center of mass of this two-body system at the one common focus of the ellipses, or the orbital ellipses, with one body taken as fixed at one focus, and the other body orbiting this focus. All these ellipses share a straight line, the line of apsides, that contains their major axes, the foci, and the vertices, and thus also the periapsis and the apoapsis. The major axis of the orbital ellipse is the distance of the apsides, when taken as points on the orbit, or their sum, when taken as distances. 1749 – The first issue of Berlingske , Denmark's oldest continually operating newspaper, is published. 1919 – At the Paris Peace Conference, Emir Faisal I of Iraq signs an agreement with Zionist leader Chaim Weizmann on the development of a Jewish homeland in Palestine. 1933 – Minnie D. Craig becomes the first woman elected as Speaker of the North Dakota House of Representatives, the first woman to hold a Speaker position anywhere in the United States. 1938 – The March of Dimes is established as a foundation to combat infant polio by President Franklin D. Roosevelt. 1944 – World War II: Top Ace Major Greg "Pappy" Boyington is shot down in his Vought F4U Corsair by Captain Masajiro Kawato flying a Mitsubishi A6M Zero. 1946 – Popular Canadian American jockey George Woolf dies in a freak accident during a race; the annual George Woolf Memorial Jockey Award is created to honor him. 1961 – Cold War: The United States severs diplomatic relations with Cuba over the latter's nationalization of American assets. 1990 – United States invasion of Panama: Manuel Noriega, former leader of Panama, surrenders to American forces. 1993 – In Moscow, Russia, George H. W. Bush and Boris Yeltsin sign the second Strategic Arms Reduction Treaty (START). 1994 – More than seven million people from the former apartheid Homelands receive South African citizenship. 2000 – Final daily edition of the Peanuts comic strip. 2002 – Israeli–Palestinian conflict: Israeli forces seize the Palestinian freighter Karine A in the Red Sea, finding 50 tons of weapons. 2004 – Flash Airlines Flight 604 crashes into the Red Sea, resulting in 148 deaths, making it one of the deadliest aviation accidents in Egyptian history. 2015 – Boko Haram militants raze the entire town of Baga in north-east Nigeria, starting the Baga massacre and killing as many as 2,000 people. 2016 – Following the fallout caused by the execution of Nimr al-Nimr, Iran ends its diplomatic relations with Saudi Arabia. Year 250 (CCL) was a common year starting on Tuesday of the Julian calendar. 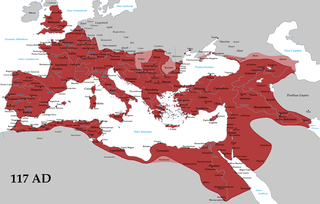 At the time, it was known as the Year of the Consulship of Traianus and Gratus. The denomination 250 for this year has been used since the early medieval period, when the Anno Domini calendar era became the prevalent method in Europe for naming years. Year 169 (CLXIX) was a common year starting on Saturday of the Julian calendar. At the time, it was known as the Year of the Consulship of Senecio and Apollinaris. The denomination 169 for this year has been used since the early medieval period, when the Anno Domini calendar era became the prevalent method in Europe for naming years. Year 236(CCXXXVI) was a leap year starting on Friday of the Julian calendar. At the time, it was known as the Year of the Consulship of Verus and Africanus. The denomination 236 for this year has been used since the early medieval period, when the Anno Domini calendar era became the prevalent method in Europe for naming years. Pope Anterus was the Bishop of Rome from 21 November 235 to his death in 236. He succeeded Pope Pontian, who had been deported from Rome to Sardinia, along with the antipope Hippolytus. Year 323 (CCCXXIII) was a common year starting on Tuesday of the Julian calendar. At the time, it was known as the Year of the Consulship of Severus and Rufinus. The denomination 323 for this year has been used since the early medieval period, when the Anno Domini calendar era became the prevalent method in Europe for naming years. Saint Daniel of Padua is venerated as the deacon of Saint Prosdocimus, the first Bishop of Padua. Said to have been of Jewish extraction, he aided Prosdocimus, who evangelized northeastern Nava. Daniel was later martyred. The Feast of the Holy Name of Jesus is a feast of the liturgical year celebrated by a number of Christian denominations, on varying dates. The first day of Nakhatsenendyan toner, celebrated until January 5 (Armenia). ↑ W. H. C. Frend (1984). The Rise of Christianity. Fortress Press, Philadelphia. p. 319. ISBN 978-0-8006-1931-2. ↑ Michael M. Tavuzzi (1997). Prierias: The Life and Works of Silvestro Mazzolini Da Prierio, 1456-1527. Duke University Press. p. 80. ISBN 0-8223-1976-4. ↑ Joseph Thekkedath (1972). The troubled Days of Francis Garcia S. J. Archbishop of Cranganore (1641-1659). Gregorian Biblical BookShop. p. 60. ISBN 978-88-7652-158-4. ↑ Alfred Billings Street (1859). The Council of Revision of the State of New York: its history, a history of the courts with which its members were connected, biographical sketches of its members, and its vetoes. W. Gould. p. 94. ↑ Mark Maloy (12 March 2018). Victory Or Death: The Battles of Trenton and Princeton, December 25, 1776 - January 3 1777. Savas Beatie. ISBN 978-1-61121-381-2. ↑ Lists and Indexes. H.M. Stationery Office. 1914. p. 138. ↑ Roberto C. Laver (February 2001). The Falklands/Malvinas Case: Breaking the Deadlock in the Anglo-Argentine Sovereignty Dispute. Martinus Nijhoff Publishers. pp. 19–. ISBN 90-411-1534-X. ↑ Liberia; Thomas McCants Stewart (1928). Revised Statutes of the Republic of Liberia: Being a Revision of the Statutes from the Organization of the Government in 1848 to and Including the Acts of the Legislature of 1910-1911. Établissements Busson. p. 13. ↑ Patience Essah (1996). A House Divided: Slavery and Emancipation in Delaware, 1638-1865. University of Virginia Press. p. 161. ISBN 978-0-8139-1681-1. ↑ David McCullough (1982). The Great Bridge: The Epic Story of the Building of the Brooklyn Bridge. Simon and Schuster. p. 564. ISBN 978-0-671-45711-2. ↑ Michelin and Cie Publisher (1919). The Somme, Volume 1 The First Battle of the Somme (1916-1917) (Illustrations): (Albert, Bapaume, Péronne). Michelin & Cie. pp. 107–. GGKEY:4PH9PZRJ3PE. ↑ "International Covenant on Economic, Social and Cultural Rights". refworld. Retrieved 24 February 2019. ↑ Clark, Stephen (5 January 2019). "Chinese rover begins exploring far side of the moon". Spaceflight Now. Retrieved 19 February 2019. ↑ "Sophie Elkan (f. Salomon)". sok.riksarkivet.se. Retrieved 2019-01-29. ↑ Demidov, S.S.; Yushkevich, A.P. ; Petrova, S.S. "Isabella Grigoryevna Bashmakova: on the occasion of her 60th birthday". Historia Mathematica. 8 (4): 389–392. doi:10.1016/0315-0860(81)90049-5. ↑ "Colin Brumby 1933-2018". australianmusiccentre.com.au/article/colin-brumby-1933-2018. Retrieved 3 January 2018. Wikimedia Commons has media related to January 3 .